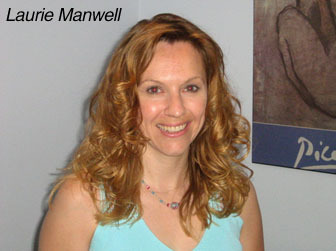 Following her widely-read paper on overcoming psychological barriers to 9/11 Truth acceptance, Laurie Manwell has “Part II” published in the Journal of 9/11 Studies today. A reviewer wrote: “It is an excellent -- (and the first real attempt from anybody really) -- effort to address the concerns related to human personality variables, multiple disciplines, logic and the vagaries of persuasion associated with discussing the truth. And not just 9/11 truth but truth globally and the means to search for the truth. Hoping to create many little epiphanies in those with whom we communicate. This particular excerpt from Manwell's paper struck me. "In a culture of fear, we should expect the rise of new mechanisms of social control to deflect distrust, anxiety, and threat… Our findings suggest that authors use the conspiracy theorist label as (1) a routinized strategy of exclusion; (2) a reframing mechanism that deflects questions or concerns about power, corruption, and motive; and (3) an attack upon the personhood and competence of the questioner. This label becomes dangerous machinery at the transpersonal levels of media and academic discourse, symbolically stripping the claimant of the status of reasonable interlocutor – often to avoid the need to account for one’s own action or speech. We argue that this and similar mechanisms simultaneously control the flow of information and symbolically demobilize certain voices and issues in public discourse…Variants of the label conspiracy theorist become dangerous. The mechanism allows those who use it to sidestep sound scholarly and journalistic practice, avoiding the examination of evidence, often in favor of one of the most important errors in logic and rhetoric – the ad hominem attack. [italics added]"
Can you say the History Channel? Buru Dragon on Thu, 08/23/2007 - 1:42pm. the sentence you quoted was incredibly well-written and absolutedly spot on. The accusation of 'conspiracy theorist" reflects on the accuser (and damns him/her) not the accused. medicis on Thu, 08/23/2007 - 4:19pm. Gryphon on Thu, 08/23/2007 - 5:04pm. Reminds me a lot of this story, published Aug. 21st, 2007. Orangutan. on Thu, 08/23/2007 - 3:38pm.